Grow your own - but where? "The grow-your-own trend, which was boosted by the recession and fears about the rising price of food, has shown no signs of calming down. "The survey of over 150,000 council plots in England found 91,500 people waiting for an allotment – up from 76,330 last June. "The figures indicated there are around 60 people waiting for every 100 plots, up from around 50 people last year and just four people in 1996. "The severe shortage, in parts of the country, has meant that some gardeners are facing waits of up to 40 years. The average time is over three years. People in Westcombe Park who have tried to get an allotment will know this problem well - and will have found that not only are the local waiting lists 10 years long, they are now closed to new names so you cannot join them at all. Transition Westcombe has tried to come up with a constructive solution: matching would-be growers with other people willing to lend a patch of their garden - perhaps in return for a share of the harvest. Visit Patch Match for more information or to sign up. We particularly need people to sign up and offer a patch of their land to those on our own waiting list. "I have always loved growing things (although I am far from being an expert!) and had a vegetable patch in my old house. I now rent and have only a very tiny shared front garden. I would really like to feel close to the earth again and grow things and also to feel closer to the community here." "Having grown up in the countryside we always grew veg when I was young. 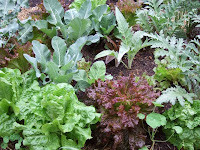 I really miss this living in London and would love the opportunity to start growing my own veg again." "I would like to Patch Match because I am an extremely keen cook but have never had the opportunity to grow my own produce due to lack of space. I noticed the allotments as soon as I arrived at our new flat, but the waiting list was full." "I hope to grow all of the basics and I'll be happy to share the crop, it's the process I'm most interested in." "We have no car and cycle everywhere, so carrying large loads of groceries from Sainsbury's is not ideal, we wish to grow our own food, to sustain ourselves, our future family and hopefully inspire our community to live sustainably." "I am originally from rural Gloucestershire where growing your own veg was part of everyday life, it's something i miss very much and would like to start doing again. I am on various waiting lists for allotments but fear i may never reach the top of any of them!" "I do not have a garden of my own - just a tiny backyard, and little growing experience. I would love to have the opportunity to grow some organic food crops - perhaps even share the skills of the lender." "I like to think I'm green-fingered, live on a limited budget, love spending time outdoors and doing physical work, and am a committed environmentalist. At the moment I have a couple of window boxes above a busy road - and am told that the waiting lists for local allotments stretches to over three years!" There will be a large parliamentary 'hustings' meeting for people from Greenwich and Blackheath, from 7.30 to 9.30pm on Monday 26th April, in the Blackheath Halls (Lee Road, Blackheath end). Apart from influencing candidates, this is great opportunity to raise awareness locally of the true extent of the environmental crisis, so do try to be there early if you can, talk to people and invite them to our next public meeting. It will be on May 19th at 7.30pm in Mycenae House, and will be discussing setting limits to and starting to voluntarily reduce the UK human population and consumption. We have also been asked to start lists of people interested in forming neighbouring Transition Towns, such as in Blackheath Village and Lee. Anyone interested in being part of an initiating group for a neighbouring Transition Town can email us on transitionwestcombe@googlemail.blogspot, and we will help in getting the first meeting to happen. The U.K. National Planning Framework needs to embody the aims of the Climate Change Act, the EU Biodiversity Directive and the Marine Act, which are all already UK law. The U.K. should back the creation of a new crime of 'Ecocide' to be enforced by the United Nations International Criminal Court. 'Ecocide' is the crime of destroying the Planet’s natural ecosystems. These two inspirational British environmental lawyers are working on the environmental problems from the bottom up and from the top down. Today we are putting out a call to owners of fruit trees in and around Westcombe Park: will you sign up to have volunteers come in and harvest your trees? This new project aims to make use of the vast amount of fruit that goes unused in back gardens and other parcels of land. Tree owners would get the first share of the fruit, with the rest distributed through the community – for example to Sure Start centres, nursing homes, schools, the Westcombe Society's squad of jam-makers or individuals – while the bruised pickings can be turned into delicious juice. Plenty would be left on the trees for the birds and on the ground for the good of the soil. About 95 per cent of fruit in Britain is imported, including 71 per cent of our apples, with some coming 12,000 miles from New Zealand. They, and even the British apples we buy, are often grown using intensive methods and then transported a long way to and from distribution and packaging centres. In the meantime our gardens have trees groaning with fruit that we don’t use, so harvesting it for local use makes perfect sense. Similar projects elsewhere have even identified as many as 50 varieties of apples in a small area, so imagine what we might uncover on our own doorsteps. If you have a tree you would like to see harvested in or near Westcombe Park, email growing.transitionwestcombe@gmail.com and tell us your name, address, phone number and the type of fruit you have. If you would like to get involved in helping with the harvest project in other ways, there are lots of jobs to be done, and every little helps. Just email the same address. For more on Transition Westcombe, visit www.transitionwestcombe.blogspot.com. population and consumption in the U.K. In the Global Footprint Network’s 2003 report scientists stated that the global human ecological footprint exceeded the carrying capacity of the earth by some 25%, and that this figure was rising by 8% per year. The ecological footprint is calculated by multiplying the human population of each country by their annual per capita consumption. The key factors behind the need to voluntarily reduce population and consumption in the UK and worldwide are climate change, loss of biodiversity and the global environmental crisis of the oceans, soils and water tables, as a result of human energy and resource requirements. Consumption reduction. In the U.K. it has been estimated that we could reduce our consumption by 30% by putting in place energy saving measures and living more simply. This could be achieved through resource conservation, needs-based consumption, waste reduction and by using alternative resources. But even if we achieve that target then we would still need to reduce our population in order to get closer to the U.K.’s ecological carrying capacity. Population reduction. The Optimum Population Trust recommends that the U.K. population of 61 million should be allowed to voluntarily stabilise and decrease by not less than 0.25% a year to an environmentally sustainable level. It could do this by bringing immigration into numerical balance with emigration, by making greater efforts to reduce teenage pregnancies, and by encouraging couples to "Stop at Two" children. Population issues are often seen in terms of human rights, and some may still feel the right to have more than 2 children is an absolute freedom. But the United Nations General Assembly has recently adopted a Bolivian resolution for a Universal Declaration of the Rights of Mother Earth, which will set human rights against human responsibilities not to destroy earth’s ecology and climate for many other species, as well as for future generations of humans. With the acceptance of earth rights, legal systems could take account of the rights of the natural world – for example, mountains, forests, oceans, rivers and animals. The Declaration could follow the same course as the Universal Declaration of Human Rights (UDHR), which was not legally binding when first proclaimed but seven decades later, the UDHR has been incorporated into the laws of many countries, and is the basis for the International Criminal Court. Despite well-publicized media coverage of some mistakes, the scientific community is still convinced of the fundamental accuracy of the conclusions of the 2007 International Panel on Climate Change which reported 95% certainty of human-caused climate change. The U.K.’s Royal Society supported this view by publishing ‘Preventing dangerous climate change’ in 2009, which underlined the need for us to start making changes now to avoid the worst future scenarios. There is still no internationally binding agreement on climate change, which makes it more important, as a nation, to start voluntarily stabilizing and reducing our population and consumption from their current levels towards a U.K. sized ecological footprint. Patch Match, our free garden-sharing service, has a number of enthusiastic gardeners looking for a space to grow vegetables. 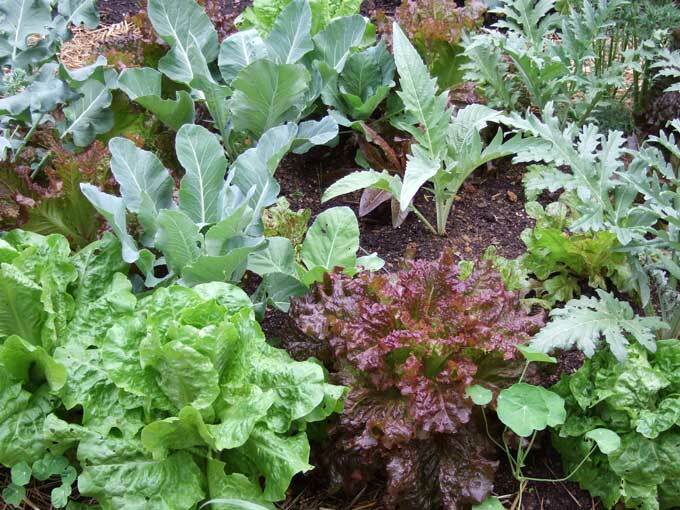 Do you or someone you know have a large garden or some other space you cannot fully use but which you would be glad to see cultivated for zero-miles food, in return for a share of the harvest? Transition Westcombe have got the backing of our MP Nick Raynsford for Barbara Morris’ ‘Greener Streets’ proposal. We have also presented it to committee members of the Westcombe Society, and they will be at a future exploratory meeting with the relevant Council officers.